Christos Tsiolkas is one of the most recognizable and internationally successful literary novelists working in Australia today. He is also one of the country’s most politically engaged writers. 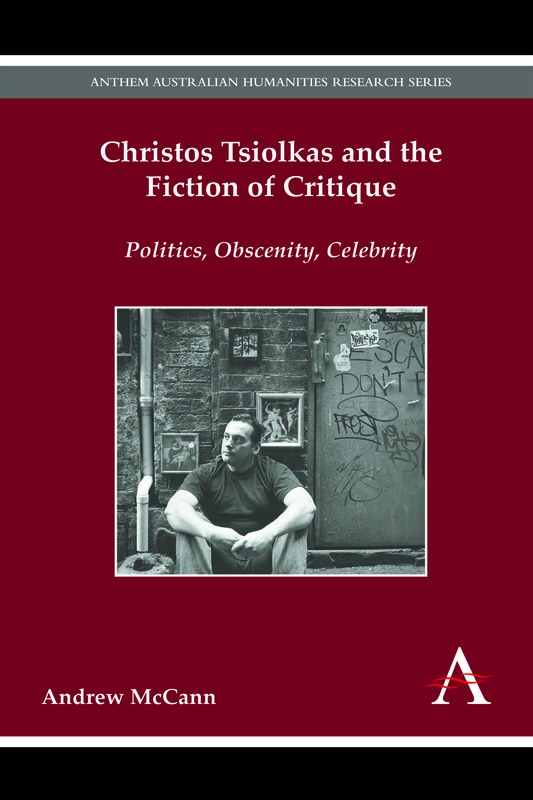 We recently published Christos and the Fiction of Critique: Politics, Obscenity, Celebrity which offering highly innovative readings and a critical analysis of the writer’s literary success. In the preface to the monograph, author Andrew McCann discusses the difficulty of getting international audiences interested in Australian literature. 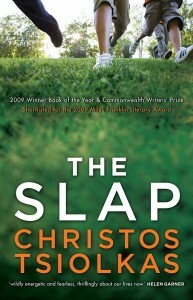 According to Tom Shone, Christos Tsiolkas was “plucked from semi-obscurity and set on the literary rock-star track by his fourth novel, The Slap.” This fairly innocuous comment appeared near the opening of a Sunday Times article that Shone had based on an interview with Tsiolkas, conducted in New York in 2010. The setting is important. Shone and Tsiolkas are on the roof deck of the “quirky” and “boutique” Roger Smith Hotel on Lexington Avenue. Tsiolkas is apparently awed by the Manhattan skyline. He is also fiddling with his cell phone and juggling other commitments in a way befitting for someone in the middle of an American book tour. 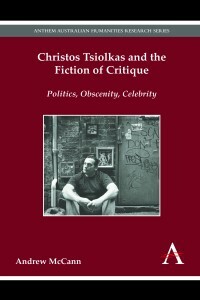 The idea of plucking Tsiolkas from “semiobscurity” might have made sense to a British or North American readership, but to anyone who had paid even fleeting attention to the Australian literary scene over the preceding fifteen years, during which time Tsiolkas’s fiction had become a staple of critical discussion, it was likely to be jarring. Nevertheless, the comment did highlight one of the most salient aspects of Tsiolkas’s career: even after the enormous Australian interest generated by his 2005 novel Dead Europe, he had a very limited international profile. In the divide between the local and the global—between the apparently insular Australian market and the market per se—The Slap seemed to appear ex nihilo, and Tsiolkas himself was somehow disembodied and decontextualized in a way that would have been unthinkable to anyone familiar with the political vehemence and visceral extremism of his earlier work. Scholars are professionally rewarded for working in established, and well trafficked, areas of predominantly British and American literature where relatively large academic constituencies facilitate citation and circulation. I am dwelling on Shone’s article because it was at the moment I read it that I decided I wanted to write a monograph about Christos Tsiolkas. I had already experienced the difficulty of getting literary and academic communities outside of Australia interested in Australian writers. When I began working in the United States about a decade ago, some of my American colleagues had never heard of Peter Carey. And some had never heard of Patrick White. Confronting this merely reminds one that Australia is still, culturally speaking, a relatively small part of a global, Anglophone formation. From the perspective of the northern hemisphere, its literature tends to be either opaque or invisible. The dynamics of the field of literary studies have not helped. Scholars are professionally rewarded for working in established, and well trafficked, areas of predominantly British and American literature where relatively large academic constituencies facilitate citation and circulation. At the same time notions of cultural capital in the American liberal arts still orient to traditionally defined periods and the canonical texts that constitute them. Yet as Tsiolkas worked his way along the east coast of the United States, he seemed to be gaining a level of exposure that produced both visibility and a certain kind of legibility. People had heard him interviewed on National Public Radio. He seemed to be topical, and topicality, of course, is one of the things that a critic looks for as a way of justifying a project. But related to this was the feeling that his celebrity was raising some genuinely pressing questions about the fate of radical writing in the era of global capitalism. “I had no idea [The Slap] was going to take me to Lexington Avenue,” Tsiolkas tells Shone. “Trying to stand back, I’m interested in why it has proved so popular. I wonder what it says about contemporary writing—can you be popular without being populist?”  The composure of the self-questioning in this comment is quite different from the way in which Tsiolkas was speaking about global circulation earlier in his career. Of course, coming up with an international bestseller is not “writing for the world,” or producing “writing that speaks to everyone,” but one still cannot help sensing a certain tension between the Sunday Times’s vision of Tsiolkas gazing over the New York skyline, realizing his arrival at the heart of global capitalism, and this earlier distance from a globalizing ambition that seems sufficiently implicit in the act of writing that one might want to disavow it. If there is a tension here—and perhaps there is only the semblance of a tension—it is one that occurs outside the ambit of authorial control or agency. Shone, “Novel of the Year? Get Ready for The Slap,” 11. Sasha Soldatow and Christos Tsiolkas, Jump Cuts: An Autobiography (Milsons Point, NSW:Random House, 1996), 282. Quoted in Ian Syson, “Smells Like Market Spirit: Grunge, Literature, Australia,” Overland 142 (Autumn 1996): 22.